1.1. Officiating traditional (3-on-3) Sepak Takraw matches are very similar to officiating volleyball (and actually easier), so anyone that is familiar with the game of volleyball, or familiar with officiating volleyball, will quickly and easily adapt to how to officiate the game of Sepak Takraw. If not familiar with volleyball, Sepak Takraw is still a very easy game for anyone to understand and quickly learn how to officiate. 2.1. Only paid STAC “Team Members”, “Club Members”, or “Provincial Association Members” can HOST a Referee Clinic, and the Clinic MUST be a STAC-sanctioned event, which means that the Member must submit a “Tournament or Event Hosting/Sanctioning Application Form” (Appendix 1 of the “Tournament Hosting/Sanctioning Policy & Procedures” page) with a $50 Sanctioning Fee at least 3 weeks prior to the target host date … unless the Member just hosted a full day of Sepak Takraw Clinics, in which case , the Sanctioning Fee is WAVED if the course is held on the same or consecutive day of the clinic, but they still must fill out and submit the Sanctioning Application Form. 2.2. 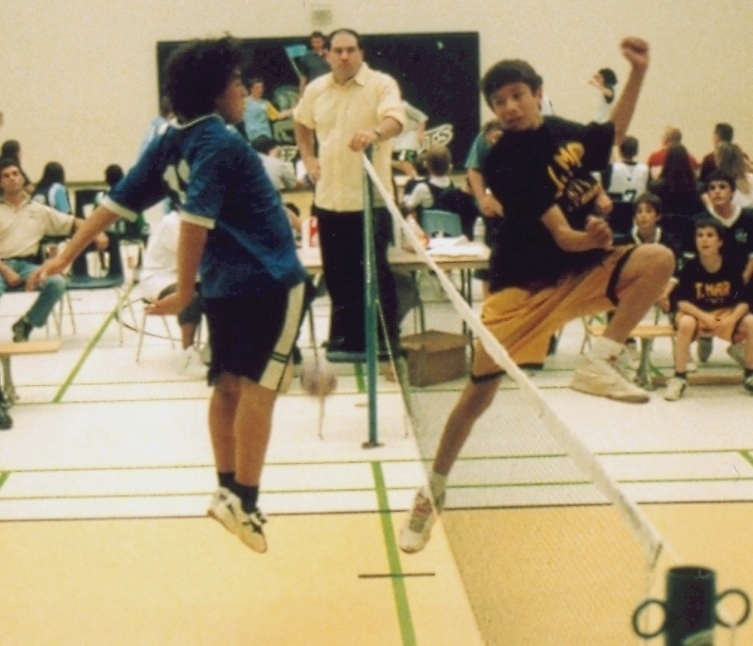 Participation in Officials Clinics is FREE for paid STAC Team Members or registered members of a paid STAC Club or Provincial Sport Governing Body (PSGB); however each participant must purchase a CURRENT COPY of the Official Sepak Takraw Rule Book at the time of taking the course. 2.3.5. Keep track of the matches officiated using the "Officials Match Log Form" (Officials Development Program, Appendix 1). 2.4. Any School, Association or Group interested in hosting an Officials Clinic should contact the STAC office as soon as possible, but no later than 3 weeks prior to the target course date. 3.1. The first step for anyone to become a Certified Sepak Takraw Referee is to become a paid Member of STAC Team/Club/PSGB as applicable. Anyone that is not a Member will not be eligible to take a Referee Course. CLICK HERE to download a STAC Membership Form. 3.2. 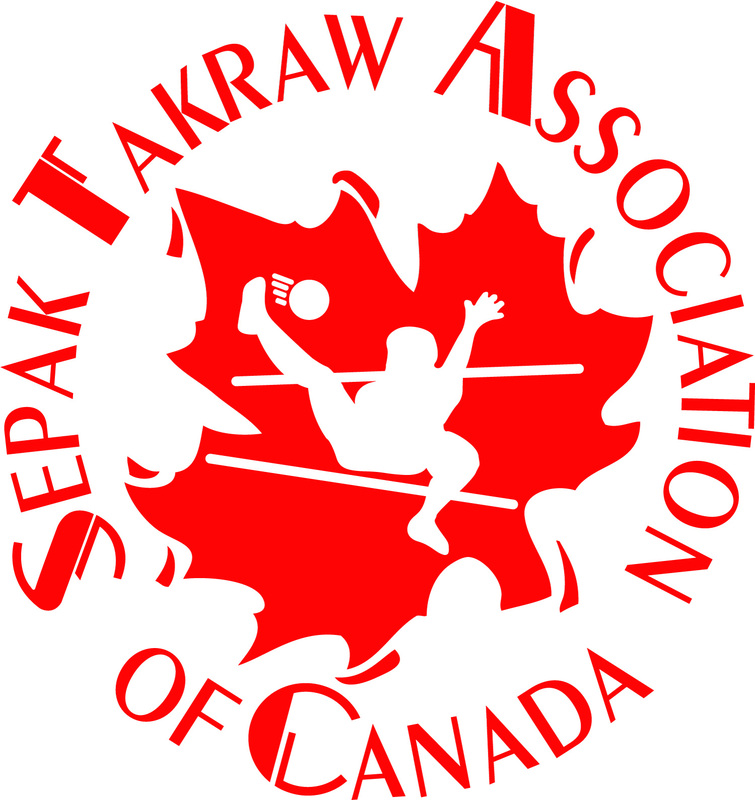 Once a member becomes a Certified Sepak Takraw Official, they will be immediately added to their local Team, Club or PSGB list of Officials (as applicable) and to the STAC list of Officials for their area; and they may be called upon to officiate local league games, regional events, provincial qualifying tournaments, and STAC-sanctioned events that take place in their area or province. 3.3. STAC-certified, registered member Officials can NOT participate in non-Club, non-PSGB (if applicable) or non-STAC Sanctioned leagues, tournaments or events unless they have received permission from their Club, PSGB or STAC Office to do so … the preference is for all events to come under either their local Club/PSGB or the STAC umbrella so that an Official’s game experience can be more easily tracked and events will become more standard and uniform in the way they are carried out – maintaining continuity in the sport. 3.4. We also need to protect our Officials from being taken advantage of by groups of players who do not want to become members of local Clubs, PSGB’s or STAC, yet they want to access the services of such. Any STAC-certified, registered Official that participates in a non-sanctioned league, tournament or event can LOSE their Officials Certification status, be fined, or worse. 3.5. Hosts of Club, PSGB, or STAC-Sanctioned Tournaments/Events must contact the applicable office three weeks prior to the tournament date to arrange for Officials. 3.6. All Officials used at Club, PSGB, or STAC-Sanctioned Tournament/Events MUST be certified and registered with the applicable group. If there is no STAC-member Club or PSGB with an Officials Policies & Procedures plan in place under which local Officials can become registered and certified in the particular province, then local Club Members of STAC in that province need to organize for a STAC instructor to conduct an Officials Course for them, which their interested individuals can attend and be registered through STAC. 4.1. After a Member has completed an applicable Officials Course and passed the subsequent test, they may immediately register, with payment of a $10 fee (to their local Club or PSGB), to be a Club or PSGB “NOVICE” OFFICIAL” to officiate Youth Division (age 11 – 14) matches under supervision/evaluation, without payment (5 matches). Youth Division matches may also be modified to make playing easier for that age group … basically it is up to each group/club. Common modifications will be posted on the STAC website in the Rules section. 4.2. However, before a Novice Official can become “Certified” and receive payment for officiating Youth Division matches (from their local Club or PSGB), he/she must officiate 5 locally sanctioned matches under supervision/evaluation (of a Local A Official or Provincial Official, the Officials Assigner, or the Provincial Technical Director, as applicable). 4.3. The Novice Official, upon a passing report from the Supervising/Evaluating Official from the 5 supervised sanctioned matches, may then pay a $15 fee (payment always to their local Club PSGB – who will then remit to STAC its share) and register to be a Club or PSGB CERTIFIED LOCAL “B” OFFICIAL, and may henceforth receive payment for refereeing local Club or PSGB-sanctioned league and/or tournament matches in the Youth Division as per payment rate schedule below. 4.4. Once a Local B Official has logged 10 best-of-three sanctioned local matches (or 20 modified single set or flat rate timed matches) as a STAC Certified Local B Official, an Officials Supervisor/Evaluator (same as above) must grade the next match, and upon a passing report, he/she then qualifies to advance to the next level and receive a higher payment rate … all he/she need do is register with a payment of a $20 fee (to their local Club or PSGB), to be a local Club or PSGB CERTIFIED LOCAL “A” OFFICIAL. The Local A Official may officiate Youth, Junior, Senior and Masters sanctioned matches, not only within their own town/city, but also sanctioned matches in other communities within their sports district or anywhere else in the province where there is not a local certified Official in the area. 4.5. Once a Local A Official has logged 20 best-of-three sanctioned local, district or regional matches (or 15 best-of-three and 15 single set matches) as a Club or PSGB-Certified Local A Official, a Supervisor/Evaluator must grade the next match, and upon a passing report, he/she then qualifies to advance to the next level and receive a higher payment rate … all he/she need do is register with payment of a $30 fee (to Club/PSGB) to be a Club/PSGB CERTIFIED “PROVINCIAL” OFFICIAL. A Provincial Official may officiate in sanctioned matches anywhere in the province of every age and competition level as called upon, and officiate in the Provincial Championships. 4.6. Once a Provincial Official has logged 40 best-of-three sanctioned local, district and/or provincial matches (or 30 best-of-three and 30 single set matches) as a Club/PSGB Certified Provincial Official, a Supervisor/Evaluator must grade the next match, and upon a passing report, he/she then qualifies to advance to the next level and receive a higher payment rate … all he/she need do is register with payment of a $60 fee (to Club/PSGB) to be a STAC CERTIFIED “NATIONAL” OFFICIAL. A National Official may officiate in sanctioned matches of any age group and competition level anywhere in the province and anywhere in Canada as called upon. 4.7. Once a National Official has logged 60 best-of-three sanctioned local, district, regional, provincial and/or national matches as a STAC Certified National Official, a Supervisor/Evaluator must grade the next match, and upon a passing report, he/she then qualifies to advance to the next level and receive a higher payment rate … all he/she need do is register with payment of a $90 fee (to Club/PSGB) to be a STAC CERTIFIED “INTERNATIONAL” OFFICIAL. An International Official may officiate in sanctioned matches of any age and competition level anywhere in their province, Canada or the world, as called upon by STAC. 4.8. All Referee Registration Fees and Payment Rates are set annually by all local Club’s/PSGB’s Officiating Committees, and each will eventually design their own policies & payment rates (hence the suggested fees being indicated in brackets), but shall start out with the below payment schedule as a minimum to begin with. 7.1. All Officials are evaluated after officiating in the minimum number of matches necessary before advancing on to the next level. If an official will not be advancing in a given year, they still must be evaluated each year. CLICK HERE to download the Officials Evaluation Form. 7.2. All representatives of STAC need to be 100% supportive of all Officials publicly. It is asked that any concerns about any STAC Official be written and sent to the STAC office with “Attention to:” being the STAC Officiating Committee as well as the local province’s local Provincial Technical Director, as applicable. 7.3. Information on Officials concerned shall only be given to leagues when specific areas of concern are documented and addressed to the STAC Officiating Committee & the local Provincial Technical Director, and the information disclosed shall only be specific to the concern being addressed. 7.4. STAC-registered Officials’ Levels information is available on request. 8.1. Besides getting paid for officiating at sanctioned matches, registered, certified Sepak Takraw Officials are also eligible for Expense Reimbursements if applicable, including Travel, Accommodations and Meals. 8.2. For any expenses related to officiating, a Sepak Takraw Official must fill out and submit an Expense Reimbursement Form (Officials Development Program, Appendix 2) to the Officials Committee Assignor (who verifies and signs it) immediately following the completion of the tournament. 8.3. The Officials calculations should be the same as what the Officials Assignor has allotted for expenses, if not the Assignor is responsible to make the appropriate adjustments. 8.4. The Assignor records each of the Officials’ (that were involved in the sanctioned event) Expenses/Payments onto the Officials Payment Record Form (Officials Development Program, Appendix 3) and submits it to their local Club/PSGB office for payment. 8.5.2. All Officials must travel together or with competing teams wherever possible, otherwise the reimbursement shall be adjusted accordingly. 8.6.1. If total travel is 3 hours or more, a passenger Official is reimbursed $8 per hour for the amount of time traveled after the 3 hour mark has been reached. Travel time is based on MAP QUEST or other similar GPS programs that detail distances from any location to any location. 8.7.1. Local Club/PSGB (or STAC in the absence of such) will arrange all air travel as necessary. 8.8.1. Accommodations used shall be those arranged or suggested by the Event Host or STAC. 8.8.2. All Officials must share accommodations wherever possible, otherwise the reimbursement shall be adjusted accordingly. 8.9.1.3 $21 for THREE meals with over 7 hours of Officiating. 8.9.2.3 $24 for THREE meals with over 7 hours of Officiating. 8.9.4.1 $10 for ONE meal, $20 for TWO meals, and $30 for THREE meals.